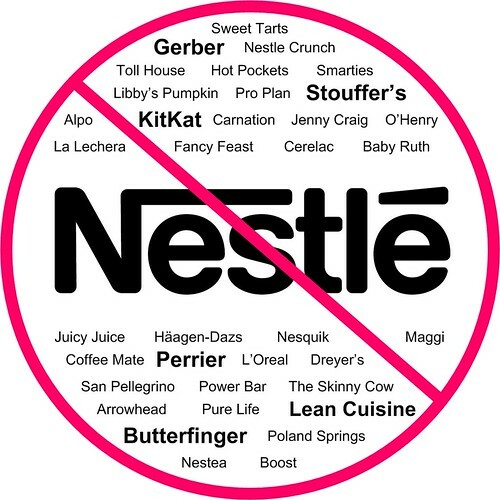 From Gina Crosley-Corcoran at ShePosts: BlogHer ’10 Picks Up Nestle Sponsorship – What Will Boycotters Do? From Amy at Mom Spark: Stouffer’s Sponsors BlogHer 2010. Will They Be Judged? Due to the news about the Nestle (Stouffer’s) sponsorship – they are one of about 80 companies sponsoring the BlogHer conference this year – I haven’t yet decided what I’m going to do about it (whether or not I will attend). I’ve thought a lot about this and gone back and forth on my decision probably 30 times now. Just when I think I’ve made up my mind one way or the other, I read something or talk to someone and I change it. I wish it were a black and white decision, but the more I think about it the more I see there really are several shades of gray here. So for now I’m not saying what I’m doing (because I really just. don’t. know. ), but I do want others to be aware of what’s going on so that they may make informed choices on whether or not they want to attend the conference, learn more about Nestle’s unethical business and marketing practices, join the Nestle boycott, read about the infamous #Nestlefamily Twitter-storm of 2009, etc. If you’ve blogged your thoughts about BlogHer and the Nestle sponsorship, please leave a link with the URL in the comments and I will add your post to the list. Thank you!